We as a nation and as a world love to decorate every room in our home or office and we love to do it in style too. Lots of us will use photos from friends and family, and lots of use will use fine art photography to show off some of their feelings and express themselves with their wall decoration which is such a fun way to display art and images. Colorado photography artist will use canvas printing as a way to push an idea of art out there and also be able to offer their customers a taste of their artwork that has the feel and texture of an original piece. Some choices are using Colorado photography in a collage. Collage is a technique of an art decorating where the artwork is made from an assemble of different Colorado nature art, thus creating a new whole new look and feel to a room. You could group creeks, streams and waterfalls or canvas arts of the four seasons. You can make a collection of some of the places you have visited to take a trip down memory lane. That’s what buying canvas art is all about, it was getting the images and memories that you love to look at on another day in the future. Create that happy calm mood in a rooms decor. There always great places and nature moments on canvas so that you can display them in your home or office. This will make you and everyone that views them feel very happy. All types of Colorado photography are art in its sense. It’s called visionary art, and this kind of art is basically what you can achieve from taking a photo through a lens and the changing it slightly on a computer so that it gives off all the best bits it has. I enjoy it when you visit a photographer website as you get to see and feel how they are as an artist. It’s cool when you view a nature gallery image from top to bottom so that you can see how time unfolds and get a really good feeling to how things felt on that very day and I think that is so special. It’s so special to be able to share that experience with other people, and I think that’s what gives you great Colorado photography and artwork. 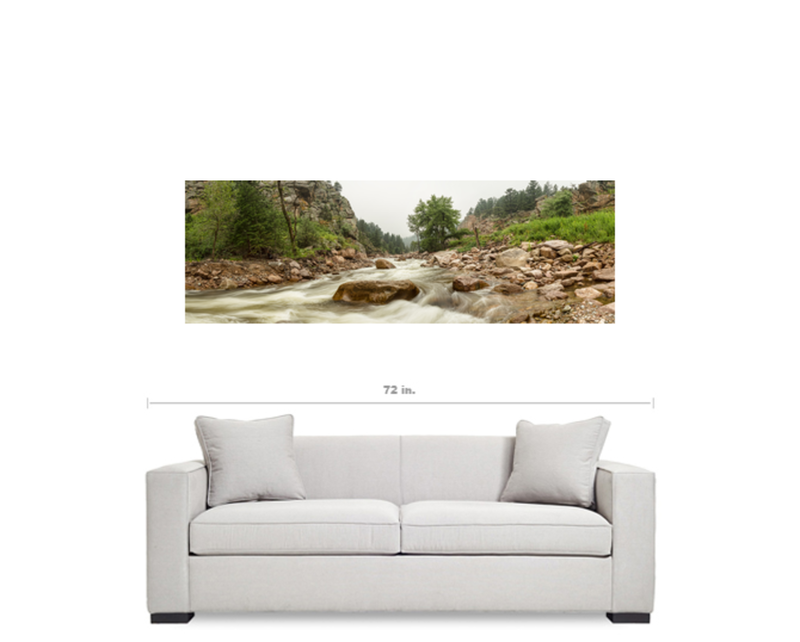 Photography artwork comes to life with the texture and depth of a stretched canvas print. An easy out of the box ready to hang clean frame-less beautiful solution for your decor. If you can find the right color, timing, moods and natural light in itself and buy a canvas print of fabulous views, you will get the feeling and sense it in the photo and that’s what make a great artist and photographer. *All artwork in this gallery is the original fine art photography artwork of James “Bo” Insogna. All Rights Reserved. It is for sale, copyrighted to James Insogna and, as such, is protected by US and International Copyright laws. Please do not steal this photo by downloading to a computer, printing, copying or reproducing in anyway. It is illegal to do so and all infringements are pursued to the full extent of the law.